The second factor in question being a time-based token generated by a Salesforce supplied, device specific authenticator app (something similar to the RSA SecurID soft-token mobile app I would expect). For User Interface logins the authentication process is shown in the screenshot below. 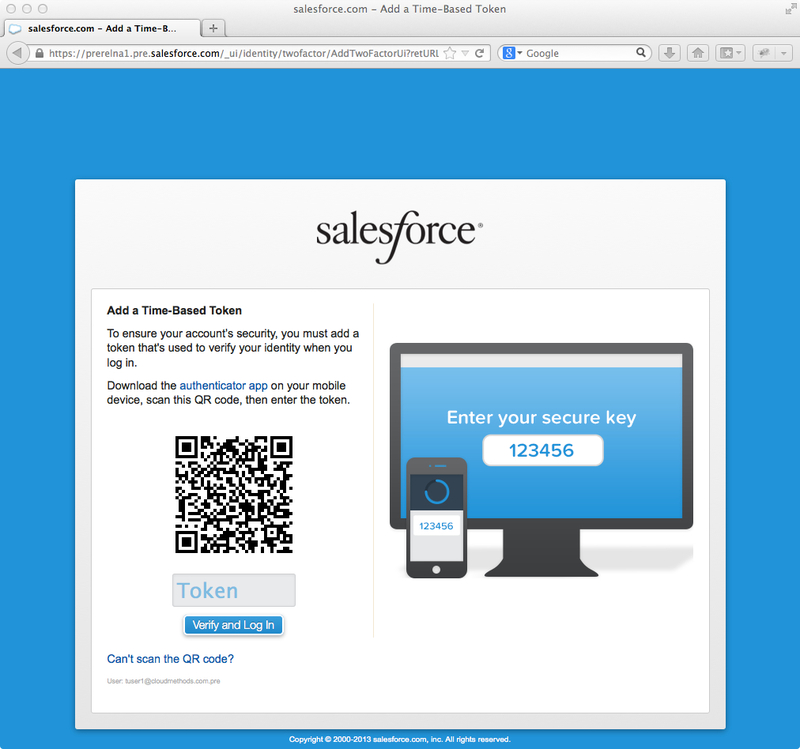 A Salesforce generated code is entered (or scanned via QR Code) into the authenticator app which generates the 6-digit time-based token to authenticate with. At the time of writing the authenticator app download link redirects to salesforce.com/mobile path, so the end-to-end process can’t be tested as yet. 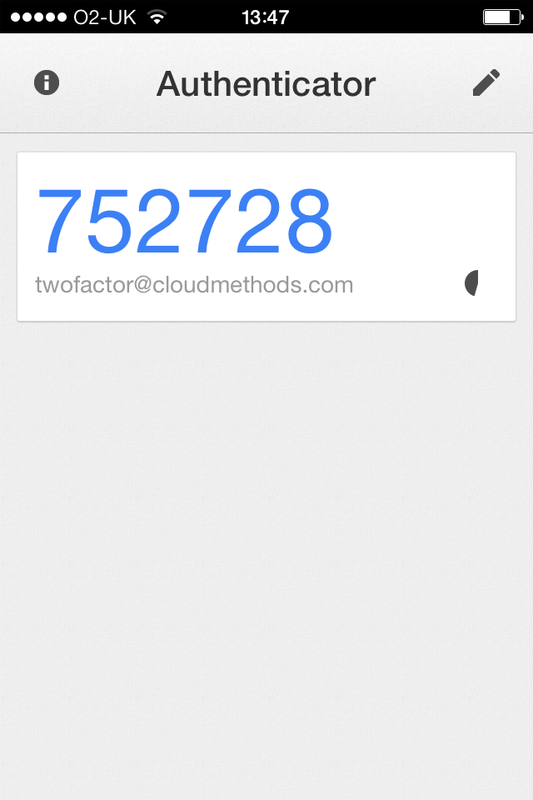 Two-factor authentication for User Interface logins is a pre-requisite for API logins. In this context the time-based token replaces the standard security token in the API login call. 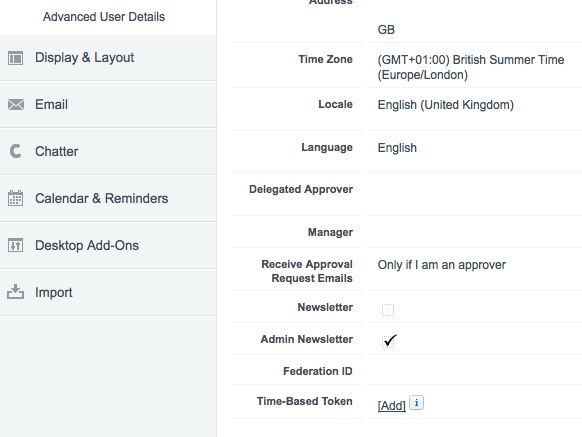 The time-based token is generated via the mobile authenticator app and added to a field on the User record, as shown below. Time-based tokens can also be used during login verification to activate a computer/device. I’ll update this post once the authenticator apps become available and the end to end process can be tested. I need to do some investigation also into the specifics of the persisted tokens (how long-lived are they etc.?). I notice that the authenticator app information is at the bottom of the salesforce.com/mobile page. Instead of providing a proprietary approach the commonly used Google Authenticator service and related apps are used. iOS screenshot below. For more information on Google Authenticator refer to here and here.